ADNOC Distribution was established in 1973 as the first UAE Government-owned company specialized in the marketing and distribution of petroleum products within the United Arab Emirates. Today, it is one of the largest petroleum companies in the Arab Gulf Region. At ADNOC Distribution, caring for people is one of their core values. 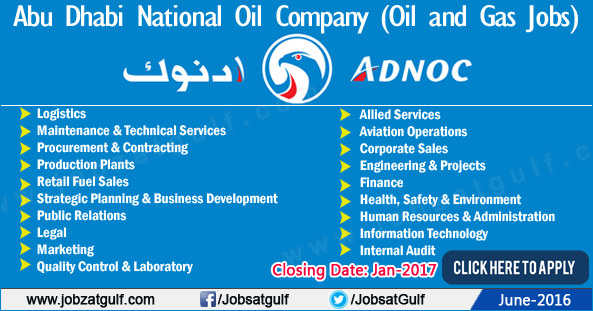 During the past four decades, ADNOC has expanded its business activities, enhanced its competitive position and so managed to become one of the world’s leading oil companies with substantial business interests in upstream and downstream activities, including transportation, shipping, marketing and distribution. ADNOC’s efforts in the exploration and production field have concentrated on assessing undiscovered reserves and optimizing hydrocarbon recovery by improving the reservoir management. They offer rewarding careers, dynamic work environments, continuous development of skills and competencies, and the opportunity to grow with them.